TEHRAN, Iran — Angered by U.S. Secretary of State Mike Pompeo’s announcement that Poland will host an international conference on Iran in mid-February, Iranian authorities on Sunday summoned Warsaw’s top diplomat in the country and called off a Polish film festival. 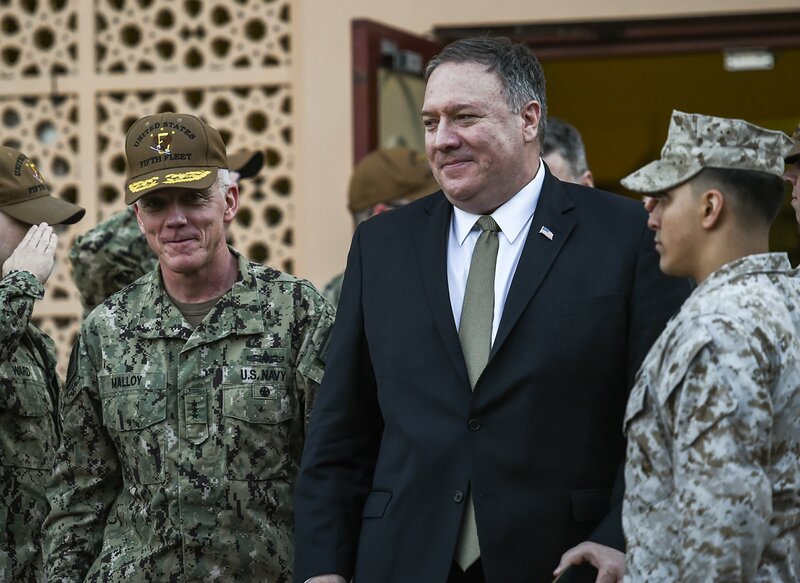 Pompeo is currently on a Mideast tour, bringing the Trump administration’s anti-Iran message to the region. He told Fox News before departing from Cairo on Friday that an international conference on Iran and the Middle East will take place in Poland on Feb. 13-14. The official IRNA news agency said Iran conveyed its protest over this to Poland’s Chargé d’Affaires Wojciech Unolt, demanding that Poland not side with this “hostile move” by the United States against Tehran. Separately, Iran’s culture ministry in a statement said it was suspending “Poland’s Film Week,” supposed to be held in Tehran in late January, until Warsaw mends its ways and starts applying “appropriate behavior” toward Tehran. Under President Donald Trump, the U.S pulled out of that accord in May 2018 and imposed new and tougher sanctions on Iran last fall.